Ringworm is a highly contagious fungal infection that can spread through skin-to-skin contact or through contaminated objects. The fungus can also transmit from pets to people. This infection can affect your body, scalp, feet, nails, and groin area. Ringworm of the body is medically referred to as tinea corporis, while the scalp ringworm is known as tinea capitis. If the infection affects the groin, it is called jock itch or tinea cruris. Ringworm of the foot is also known as athlete's foot or tinea pedis. Ringworm is most common in children, but may also occur in adults. The typical symptom of this fungal infection is ring-shaped scaly patches that are itchy, raised, and red in color. Scalp ringworm can cause loss of hair, bald patches, and swelling of the neck lymph nodes. Ringworm of the nails may lead to the discoloration and thickening of the nails. 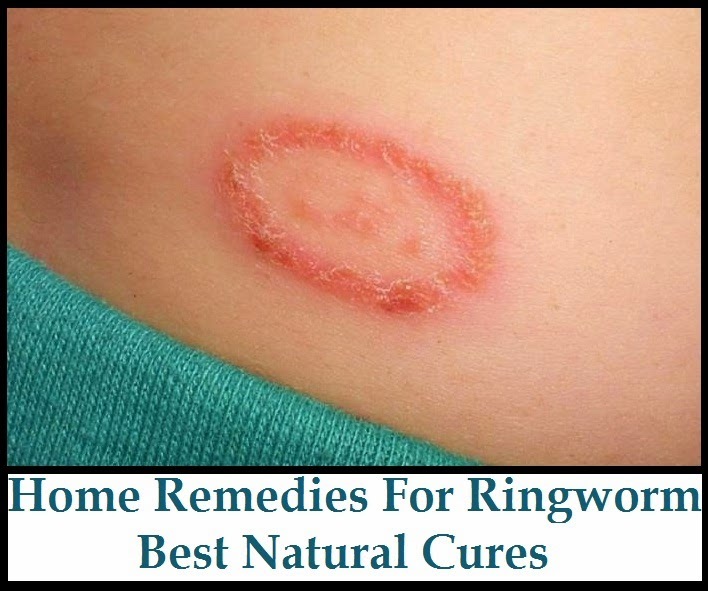 These symptoms can be managed effectively with home remedies for ringworm. Coconut oil is one of best natural cures for ringworm. It contains caprylic acid, which is an antifungal agent. Apply coconut oil directly to the affected areas. Castor oil can be used to treat scalp ringworm. Put some castor oil on the infected scalp areas. Lavender oil and tea tree oil are other two home remedies for ringworm. Lavender oil includes antifungal, antibacterial, and antiseptic properties. Tea tree oil has the potential to prevent and cure fungal infections. Reduce your ringworm by applying three drops of tea tree oil to the ringworm areas. Repeat it three times a day. Oregano oil is also one of the natural remedies for ringworm. It contains antifungal and antibacterial qualities. Rub oregano oil on the infected area two or three times daily. Apple cider, with its antifungal properties, can help treat ringworm infection. Apply apple cider vinegar with a cotton ball to the affected area. Do it at least six times a day. A further way to eliminate ringworm is to rub some drops of grapefruit extract on the ringworm patches. Mustard seeds are good home remedies for ringworm. Take some mustard seeds and pound them to make a powder. Then, mix the powder with water to create a paste, Place this paste on the infected areas. Raw papaya is found to be effective to reduce the symptoms of ringworm. Apply a raw papaya slice on the ringworm spot for about fifteen minutes. After that, rinse the area with hot water. Great article...I have been looking for a natural remedy for ringworm, and I am glad I came across your post. Thank you!